New Orleans Saints and Pelicans owner Gayle Benson also took care of some payments at a Louisiana location. 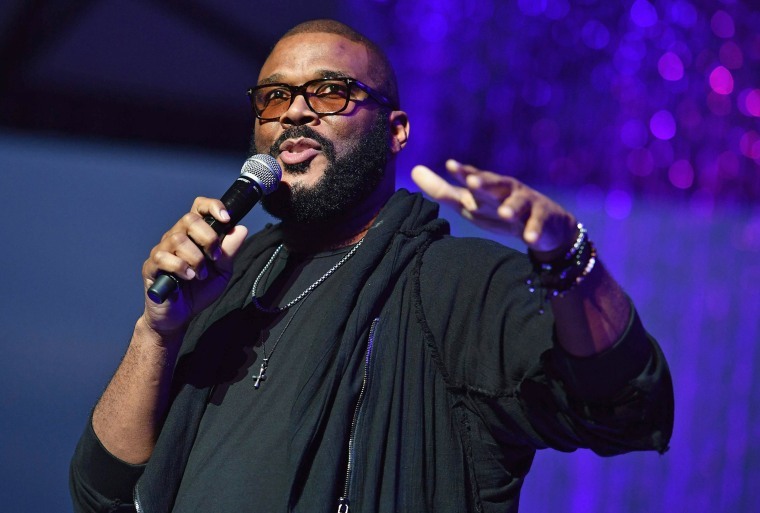 Tyler Perry just dropped nearly half a million dollars to give 1,500 lucky shoppers a very expensive Christmas gift when he took care of their layaway payment at two Atlanta area Walmart stores. The actor and producer, 49, said he wanted his generous deed to remain anonymous, but decided to post a video about it after news started to spread. "I have paid for all of your layaways for Christmas," he said in an Instagram video posted Thursday. "So, Merry Christmas to everybody." Perry spent more than $430,000, said LeMia Jenkins, director of national media relations for Walmart. He said the offer is for shoppers who had layaway at the Walmart stores on Cleveland Avenue in East Point, Georgia, and on Concourse Parkway in Douglasville before 9:30 a.m. Dec. 6. In order to pick up their purchases, customers have to pay a penny, he said in his video. Jenkins said someone from Perry's team walked into both stores and presented the managers with a check. She said the gesture was completely unexpected, and customers have been "really excited." The "Madea" actor said he was inspired to help others out because he knows its "hard times" and "a lot of people are struggling." "I'm just really, really grateful to be able to be in a position to do this," he said. "So God bless you. Go get your stuff. Merry Christmas!" Perry isn't the only person covering Walmart shopper's layaway items. New Orleans Saints and Pelicans owner Gayle Benson, 71, paid off roughly 400 layaways at a Tchoupitoulas store, totaling more than $93,000.